Terrific pirate-adventure romance. You will love this book! Pavanne Pettigrew breaks onto the literary scene running with this one. During the Golden Age of Piracy, Captain “Blackjack” Bellamie, a buccaneer of Romany descent, is wounded while fleeing the King’s men. He struggles into the hinterlands of Jamaica to the mansion of Lady Chloe Smyth Caruthers, widow of the island’s lieutenant governor. Before he has recovered, though, Chloe and her small staff learn that an intensified manhunt for him will soon be at their door. The pirate cannot remain at the estate, yet he is not strong enough to travel alone, so Chloe, who has fallen in love with him, elects to flee with him on foot through the wilderness. They are profoundly changed by their brief relationship and the agonizing dilemma that follows, but rather than solving problems, their separation complicates and even endangers both lives. This is a “must read” for anyone interested in the sea, pirates, or just plain old adventure. — Michael I. Stratton, President, Viking Age Vessels, Inc.
From the hills of Appalachia to the orchestra of an opera, in addition to amassing several college degrees, Pavanne LeJeune Pettigrew has worked as a microbiology lab technician, a veterinary technician, a dental assistant, and an over-the-road tractor-trailer driver. A native West Virginian, Pettigrew has lived in the Charleston area for the past twenty years, having moved to the capital city to pursue a career as a professional musician and university music instructor. She was also the classical music critic for The Charleston Gazette for a number of years. Since 1990, after receiving her Master of Science degree and making a career shift, she has been an environmental geologist in hydrologic and groundwater protection for mining. 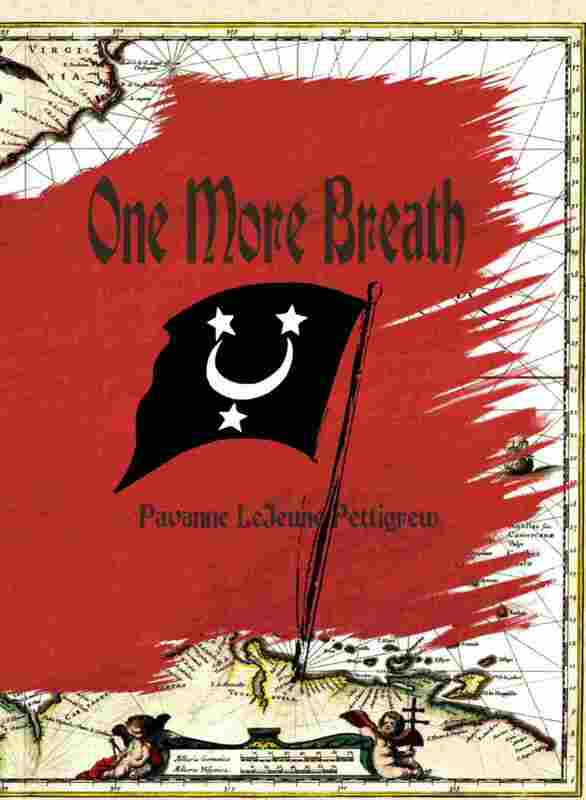 A childhood experience with a band of Gypsies established a life-long fascination with the Roma that is manifest in nearly every piece of fiction she writes, as is an obsession with pirates and the romance of the tall ships that is almost as long-standing.